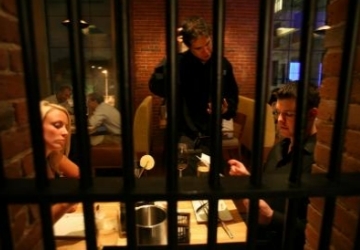 Once the storied Charles Street Jail, The Liberty Hotel welcomes guests to Boston with the spirit of a landmark liberated following an extensive $150 million acquisition, renovation and construction process. 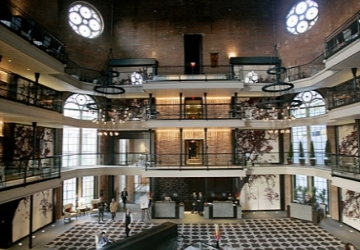 Marrying historic architecture with the high standards of refined, modern travel, The Liberty Hotel is New England�s premier luxury destination. 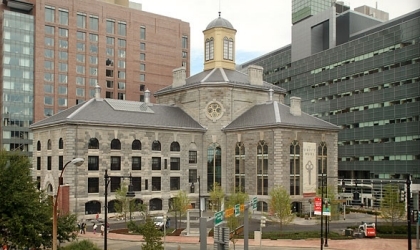 Commanding in scale, the original granite edifice was innovative for its day, comprising a beautiful cruciform-shaped structure complete with a 90-foot central rotunda and cupola built in 1851. Today, through meticulous planning reflective of the property�s colorful past, this strong and beautiful building is home to a variety of transcendent public spaces linked by historic catwalks � including lobby and reception areas, restaurant, bar, grand ballroom, and meeting rooms � as well as a limited number of guestrooms. Among the other dramatic features that have been preserved are vestiges of jail cells within the hotel lobby bar and magnificent, oversize windows. A new, adjoining 16-story tower houses the majority of guestrooms with every modern convenience. The ultimate union of historic influence and contemporary design, this luxury hotel in Boston is inspired by a sophisticated interior decor that integrates with the architecture�s beautiful simplicity. Echoing the stone facade, reception desks are punctuated with a panel of granite warmed by a surrounding concentric panel of mahogany woods. Throughout the public areas, American colonial prints, enlarged and rendered in historic colors such as maroon, gray and purple, provide a fresh take on a traditional look, while bold geometric carpets in rich hues of purple and yellow are reminiscent of New England window panes and the friezes of traditional doors. Captivating in every sense of the word, The Liberty Hotel promises an unforgettable guest experience in a unique setting second to none. Our luxury Boston hotel presents 300 guestrooms, including 10 incomparable suites with river views. Defining serenity, each is graciously appointed in tones of pale rose and taupe accented with rich mahogany woods and touches of stainless steel. Luxurious, imported bed linens and four-fixture baths complete the experience in this luxury hotel in Boston.